Since starting the capsule wardrobe project, I've definitely found that it makes me less likely to impulse-buy. Indeed, for the winter capsule, I made a list of everything I wanted to get, and I pretty much managed to get it all apart from two items, which considering what I did manage to get, I'm pretty confident I can do without. 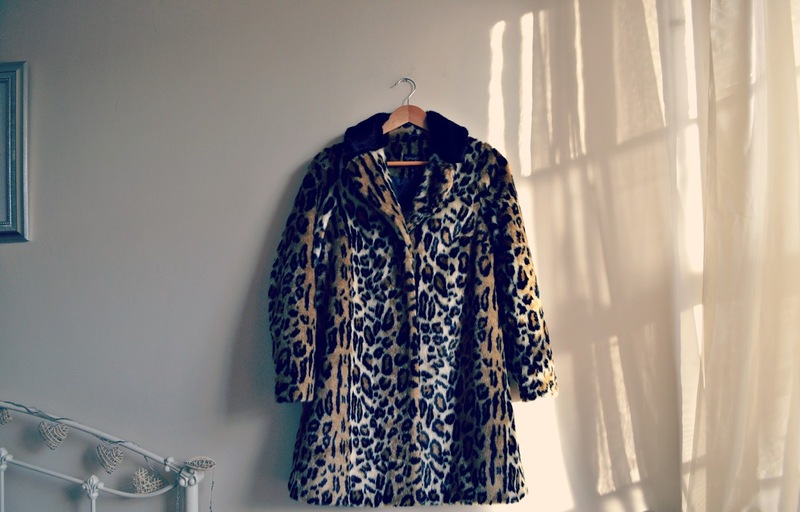 I will be posting a list and spend of the things that I got in an upcoming post, but I did want to share one of the bigger buys for the capsule: this leopard print coat. You'll remember how much I wore my thin leopard print duster coat through the autumn, and with that in mind, it made perfect sense to pick up a heavier version for the cooler months. As yet, I've not had as much wear from it as I had hoped to, simply because it's been so rainy, and I hadn't wanted to get it wet! I love the cut of this, and the way it instantly dresses up jeans and brogues into something a little more special. I was lucky enough to find this in the sales just before Christmas and I think it was £42, I know it was about half price which was what made me take the opportunity to buy it. I have now almost completely finished shopping for the winter capsule, I tried to buy most of the items I wanted in the sales if possible, as I was very lucky to have been given quite a few vouchers over Christmas and so I could put these towards the items that I wanted to buy. This coat will definitely be featuring in an outfit post soon! I love it, even if it is a bit Pat Butcher for a lot of people's liking!